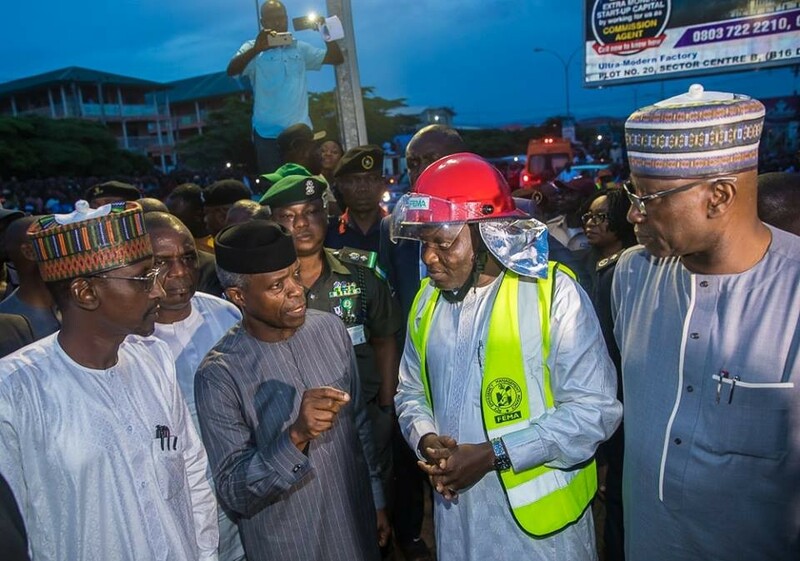 Vice President, Yemi Osinbajo has paid a visit to the site of a four-storey building that collapsed in Abuja on Friday afternoon. The collapsed building trapped about 18 people beneath the rubble, the incident occurs at about 1:30pm in the Jabi area of Abuja. Osinbajo along side with the FCT Minister, Mohammed Bello and Secretary to Government of the Federation, Boss Mustapha visited the scene immediately the news broke.